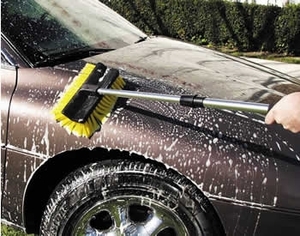 Washing or shampooing vehicles isn't as straight forward as it might seem. 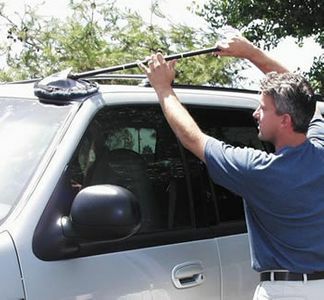 A lot of paint damage can occur during this step of the detailing process. Swirls and scratches can be caused by virtually everything you hold in your hand. We have selected the safest accessories to prevent unnecessary surface abrasion, and to give our customers peace of mind. Our sponges, brushes and mitts are made from the softest man made or natural materials. Our buckets come with grids to separate the grit from the shampoo tool. Our towels and chamois are 100% cotton, or the finest microfiber. Our boar hair brushes are the most gentle money can buy. 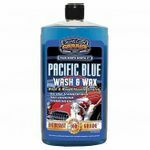 Avoid surface damage and preserve your wax with Top of the Line washing accessories and concentrated shampoos.